Check out any Windows Phone 8 device review and apart from praises for the UI, speed and fresh approach there’s always one common complaint, the lack of apps. Granted, the Windows Phone App Store doesn’t hold a candle to the app stores for Android and iOS devices, but that doesn’t mean that you’re going to be handicapped with a Windows Phone 8 smartphone. There’s quite a lot of apps on the store that are worth your time and will enhance your Windows Phone 8 experience even more. 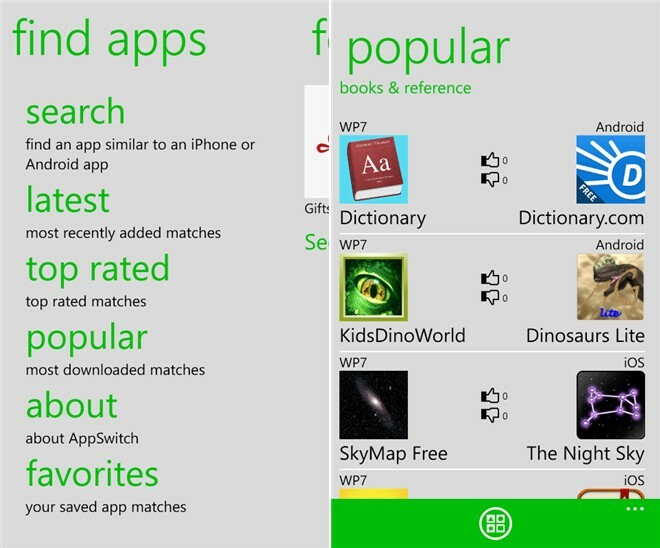 So without further ado, here’s the must have Windows Phone 8 apps! In this day and age, social networks are a part of almost everyone’s life. So it’s a given that official social network clients are amongst the must have Windows Phone 8 apps list. The Facebook, Twitter and LinkedIn clients on Windows Phone are fast, stable and incorporate the same Metro UI used everywhere else in the OS. Sure you might be able to find custom clients with more features, but I’d rather put my trust in an official app. Besides, some of the best such apps are paid while the official ones are free. The Facebook app even lets you customize your lockscreen and all these clients support toast notifications. There might be a couple of universal IM clients on the PC, but there aren’t many on Windows Phone. Our pick for such a client is IM+. IM+ lets users use Skype chat, Facebook chat, Google Talk, Yahoo! Chat, AIM, ICQ, Sina Weibo and much more in one handy app. It has a clean and simple interface and supports group chats on a few protocols as well. The ever popular Evernote is no less useful in its Windows Phone avatar compared to any other platform. It lets you take notes with media support and syncs them to any other clients on a number of operating systems like PC, Android, iOS and more. Though there’s OneNote built into Windows Phone, Evernote allows syncing between multiple platforms and thus makes the cut as one of the must have Windows Phone 8 apps. 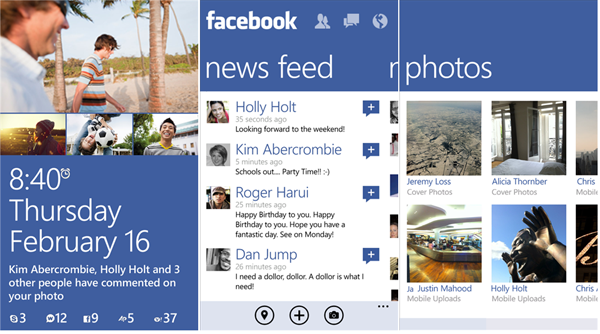 The hugely popular cross platform IM client is available on Windows Phone 8 as well and is a must have for text junkies. With support for group chats, media sharing and more, WhatsApp has grown to become the most used IM client in the world. As of now the Windows Phone 8 version is not completely optimized and there’s a couple of bugs, but it’s not something that’s going to hinder communication. WhatsApp is available on Windows Phone, Android, iOS, BlackBerry and Symbian devices. The excellent cloud storage service from Microsoft includes built in Office web apps that let you view and edit documents and more without having to use a separate client. Curiously though, there’s no client built in with Windows Phone 8, so go ahead and grab the SkyDrive app, it’s worth it. Another complaint users have is that connectivity options like WiFi and Bluetooth are buried under too many screens and it’s cumbersome to turn them on or off. ConnectivityShortcuts solves that very problem. It allows you to pin customizable tiles on the start screen that let you access these settings without having to go through many screens. 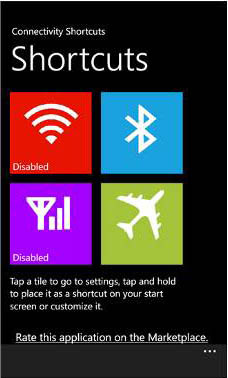 There’s tiles for WiFi, Bluetooth, Mobile data, Location services and Flight mode. As evident from the name, this app displays weather status that keeps updating throughout the day. But the reason I’ve chosen this over AccuWeather is because The Weather Channel has a very attractive UI and the full size tile looks great on the start screen. It has a fair amount of features as well, it shows current forecast, 3 day forecast, your current location, “weather moments” and lets you pin your friends weather info as well. Just like the app we mentioned on our list of the Must have apps for Windows 8 – Music and Multimedia, PrimeTube offers all the features from its Windows 8 counterpart on a smaller screen. It lets you view YouTube videos without having to open a browser, as well as supports features like playlists, user accounts and more. As there’s no official YouTube client in sight, we think PrimeTube is the best replacement available on the Windows Phone Store. Speaking of replacements, if you’re migrating from any other mobile platform, there’s probably a couple of apps you really need but can’t find. There’s a good chance that you might not find that app yourself, and this is the app that will do it for you. It will find either the same app or an equivalent, so it’s handy to even discover similar apps for an app you like. This app lets you find lyrics for thousands of songs and even has a recognition feature that identifies songs after a short sample is recorded. A must have for music lovers, musiXmatch Lyrics has a huge database that won’t disappoint. Again, just like its Windows 8 counterpart, TuneIn Radio for Windows Phone 8 lets you listen to thousands of radio stations from around the world for free. These stations are sorted by genre as well as area, so it’s sure that you’re going to find a station that’s playing music you like. Those were our picks for the must have Windows Phone 8 apps. If you own a Windows Phone 8 device do check out some Windows Phone 8 tips and tricks and let us know if you think anything should be added to this list via the comments below! Good post rahul! keep up the good work!